Dr. Tori Hudson, Naturopathic Physician, graduated from the National College of NaturopathicMedicine (NCNM) in 1984 and has served the college in several capacities, including: Medical Director,Associate Academic Dean, and Academic Dean. She is currently a professor at The National College ofNaturopathic Medicine (NCNM) and clinical professor at Southwest College of Naturopathic Medicineand Bastyr University, has been in practice for 22 years, is the medical director of her clinic, WomansTime in Portland, Oregon, and director of product research and education for VITANICA. She is theauthor of The Womens Encyclopedia of Natural Medicine, and serves on several editorial boards,advisory panels and as a consultant to the natural products industry. Speaker: Tori Hudson. Generalized anxiety disorder and chronic insomnia in women are discu..
Speaker: Tori Hudson. Reviews prevalence of heart disease in women and preventive measures, whi..
Speaker: Tori Hudson. Resilience is the ability to cope with stress and adversity, and bounce b..
Speaker: Tori Hudson. 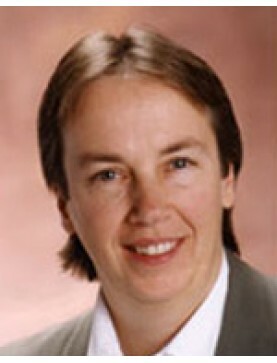 A review of selected research studies in gynecology and primary care for ..
Speaker: Tori HudsonT. Explore therapies that are not usually associated with women's health. Menopa..
Speaker: Tori Hudson. This lecture reviews recent research in botanical medicine applied to gyn..
Speaker: Tori Hudson. Hypothyroid, adrenal dysregulation, perimenopause, insulin resistance, we..
Speaker: Tori Hudson. Menstrual cramps, PMS, IBS, cystitis, migraines and depression are addres..
Speaker: Tori Hudson. Highlights top botanical research related to gynecology and primary care ..
Speaker: Tori Hudson. Continued from Part 1. Research on nutrient and botanical interventions, hormo..
Speaker: Tori Hudson. Research on nutrient and botanical interventions, hormone therapies and how/wh..
Speaker: Tori Hudson. Traditional and scientific evidence-based uses of natural medicines inclu..
Speaker: Tori Hudson. Includes a description of the clinical manifestations of PCOS, dietary ch..
Speaker: Tori Hudson. An overview of the year's botanical research: ginkgo for PMS: red yeast r..
Speaker: Tori Hudson. Evaluation, Prevention and Treatment of Osteoporosis..
Speaker: Tori Hudson. Womens Health: Pelvic Pain, Vaginitis and Abnormal Bleeding..
Speaker: Tori Hudson. Research based nutritional and herbal therapies in the treatment of commo..
Speaker: Tori Hudson. These are common infections seen in women and well suited to being treated wit..
Speaker: Tori Hudson. Botanical research in women's health issues highlights new studies on bla..
Speaker: Tori Hudson. Tori Hudson's annual update on natural therapies for women includes a dis..
Speaker: Tori Hudson. A discussion of the traditional uses of lesser known botanicals including corn..
Speaker: Tori Hudson. Incidence and risk factors, physical exams available, prevention and inte..